Checking in and registering at trade shows can be an exercise in patience... wait and move forward. A change in that procedure will be in use at The Welsh Business Shows. The Fast wifi will enable the shows to register visitors electronically, as well as booking stands for the next shows on site. It will also be offered to exhibitors as an add-on package, enabling them to get fast wifi connections on their stands. With limited mobile connection at the stadium, it will enable exhibitors to remain connected throughout the show. VipEvent is a satellite broadband service offered by Global Teleports for event organizers. 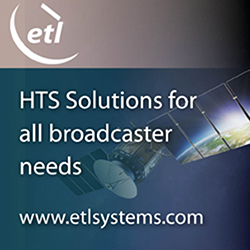 It enables satellite broadband coverage to be delivered during events, even in rural locations where other networks are often not available. Global Teleports will also be demonstrating its Vip3Play at the event, which is a cost-efficient satellite broadband service, capable of delivering data, voice, and video services to both domestic and enterprise users. It can deliver Fast and Superfast broadband to even the most rural of locations. The Welsh Business Shows: Swansea event takes place on October 20th at the Liberty Stadium, Swansea. It features a wide range of business topics with exhibits, inspiration seminars, and speed networking. Visitors can register for free here. Global Teleports will be exhibiting on stand 21 at the Welsh Business Shows: Swansea.